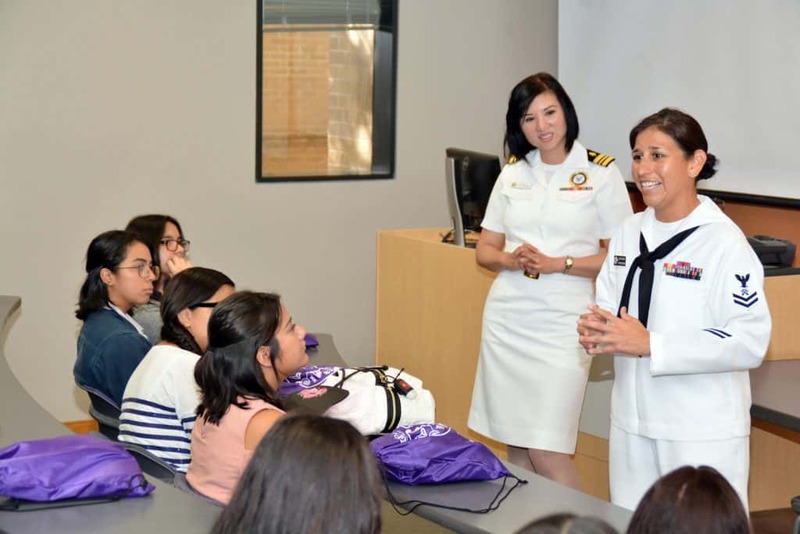 Featured, from left: Adriana Rendón, Vice President of Operations, Boys & Girls Clubs of Edinburg RGV; Ashley Martínez, Director of Operations, Boys & Girls Club of Weslaco; Mary López, CEO, Boys and Girls Club of Weslaco; Dalinda González-Alcantar, CEO, Boys and Girls Club of McAllen; Alfredo Mata, Jr., CEO, Boys and Girls Club of Pharr; Fay Beard, Director of Development, Southwest Region, Boys and Girls Club of America; Rep. Terry Canales, D-Edinburg; Precinct 2 County Commissioner Eduardo “Eddie” Cantú; and Jesse Vela, Member, Board of Trustees, Pharr-San Juan-Alamo Independent School District. In 2017, Canales was coauthor of House Bill 13, which created a matching grant program to support community-based mental health programs to help out individuals experiencing mental illness in the region. area. On Thursday, July 19, 2018, these leaders joined the House District 40 lawmaker for the announcement that the Boys & Girls Club in Pharr had secured $1 million from this program to start services this year in Pharr, Edinburg, and Weslaco. 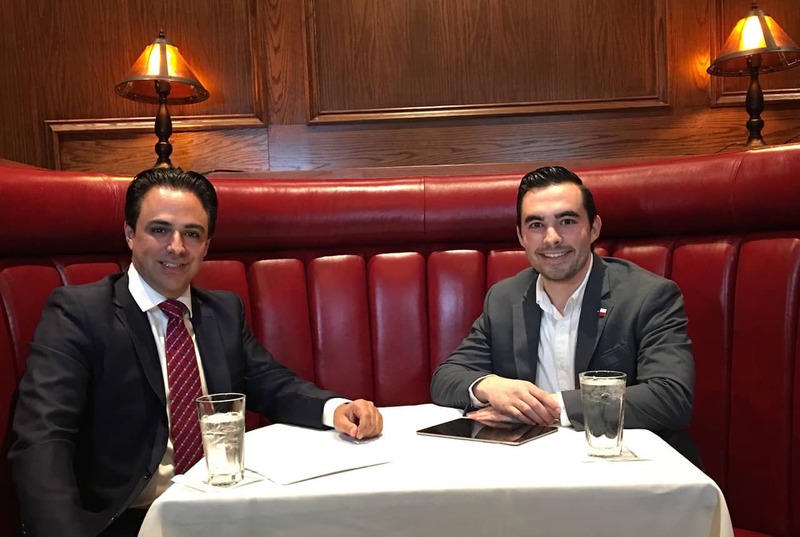 “Mental health continues to be an important issue to me and I will continue working with our local judges and District Attorney to ensure we’re doing our part,” Canales said. Featured: Rep. Terry Canales, D-Edinburg, with his wife, Erica, on Wednesday, October 4, 2017, prior to the House District 40 state legislator addressing the Edinburg Rotary Club on various issues that affect his constituents. Texans deserve more power to know what their governments are doing, says Rep. Terry Canales, D-Edinburg, who has formally asked Speaker of the House Joe Straus, R-San Antonio, to create a special House-Senate legislative panel to improve transparency and accountability to citizens. Canales, the House District 40 state lawmaker from Hidalgo County, during his career in the Texas Legislature has authored, sponsored, and voted for legislation designed to strengthen public knowledge about the actions of local and state governments, before, during, and after such efforts by those public entities take place. “I have a proven track record of fighting for open-government legislation during my five years as a state lawmaker, through carrying measures that bear my name, and through my work in House committees and on the floor of the House of Representatives, where I have always spoken in favor and voted for dozens of measures that protect the people’s right to know about what our local and state governments are doing in our name with our public resources,” said Canales. In general, open-government is a set of beliefs that all government business should be open to regulation and scrutiny by the public. The Texas Public Information Act and the Texas Open Meetings Act are the two most powerful sets of laws in the state regarding public disclosure of actions of local and state governments. During the recently-concluded 85th Regular Session of the Texas Legislature, which was held from January through May 2017, Canales authored one of the few proposals dealing with open government and public information that became state law. As of September 1, 2017, as a result of Canales’ House Bill 214, the Texas Supreme Court and the Texas Court of Criminal Appeals – the highest courts in the state – are required to dramatically improve the ability of the public to see what is going on in the two Austin-based powerful trial courts. “Recording and broadcasting courtroom proceedings can promote transparency and allow the public to evaluate the efficacy of the judicial system,” explained Canales. “To increase the public’s access to the judicial branch, H.B. 214 builds upon previous policies by requiring the Texas Supreme Court and the Texas Court of Criminal Appeals to make video recordings of their oral arguments, and any open meeting the courts have, and publish the recordings on their respective websites.” The Texas Supreme Court is the state’s highest court for civil matters, and the Texas Court of Criminal Appeals is the state’s highest court for criminal matters. 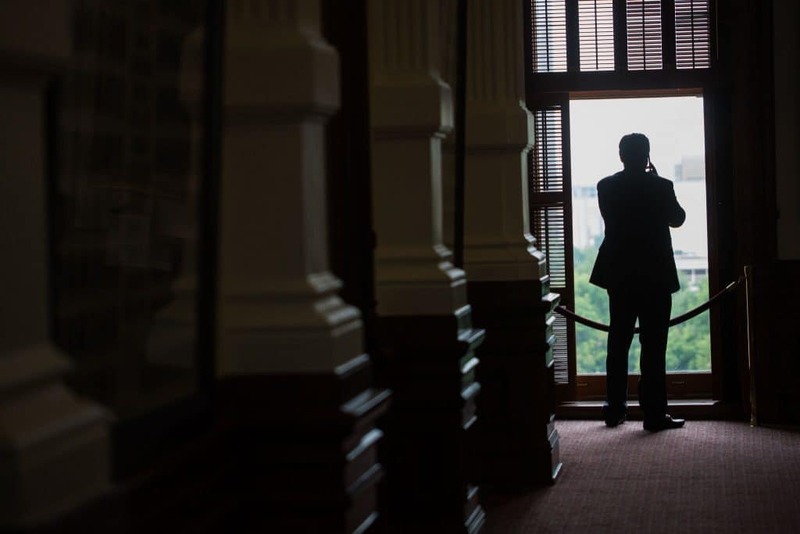 Featured: Rep. Terry Canales, D-Edinburg, looks out at the Texas Capitol grounds in Austin as he handles calls from constituents during a break from legislative debate on the floor of the Texas House of Representatives earlier this spring 2017. Gov. Greg Abbott on Thursday, June 15, 2017, approved House Bill 351 by Rep. Terry Canales, D-Edinburg, which will help do away with a decades-old injustice which results in hundreds of thousands of Texans going to jail every year because they are too poor to pay fines for traffic tickets and other Class C misdemeanors. HB 351 was one of 12 measures passed by Canales which were approved by the Texas Legislature and the governor following the five-month regular session, which ended on Monday, May 31, 2017. Those 12 now-enacted state laws covered a wide range of issues, from protecting veterans and victims of family violence, to advancing medical education, creating more jobs, and promoting open government. In addition, Canales also served as a joint author or co-author of 24 other bills. The legislator who files a bill and guides it through the legislative process is the author (also called the primary author). The Senate allows multiple primary authors for each bill or resolution. The House of Representatives allows only one primary author, the house member whose signature appears on the original measure and on the copies filed with the chief clerk. Both chambers also have coauthors, and the house of representatives has joint authors. Canales said HB 351 represents a “sweeping reform” of the state’s criminal justice system. “In Texas, at the rate we are going, we were going to eventually be throwing a million poor people in jail every year for failure to pay tickets, fines and fees arising from court cases,” explained the House District 40 lawmaker, who is an attorney. “We have too many Texans statewide who are struggling to pay rent and groceries, then they wind up getting ticketed and getting jailed for the most minor offenses, such as traffic violations.” For Class C misdemeanors, there is no jail time, and the fine is limited up to $500. But a person can be put in jail for not paying the fines, and other related costs, such as failure to appear in court. Canale added that the border of jailing all these people for petty crimes ultimately falls on the shoulders of taxpayers. “This whole system of putting poor people in jail has become a convenient cash cow for our government, which wants to squeeze money out of indigent Texans,” he said. 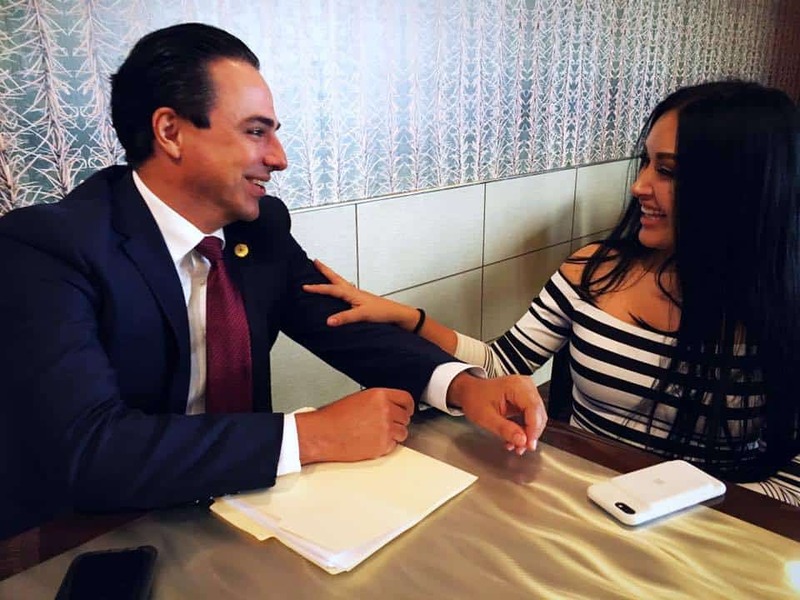 “HB 351 provides a much better way for minor offenders to pay their debt to society without unjustly putting them behind bars.” Canales is the primary author of HB 351 while Sen. Juan “Chuy” Hinojosa, D-McAllen, by carrying HB 351 in the Senate, is the primary sponsor of the legislation. The measure, which won final support in the House of Representatives on a huge, bipartisan vote of 132 Yeas, 11 Nays, and 2 Present, Not Voting.